I first visited Technical Farm almost two years ago to check out at the time what was a world first. 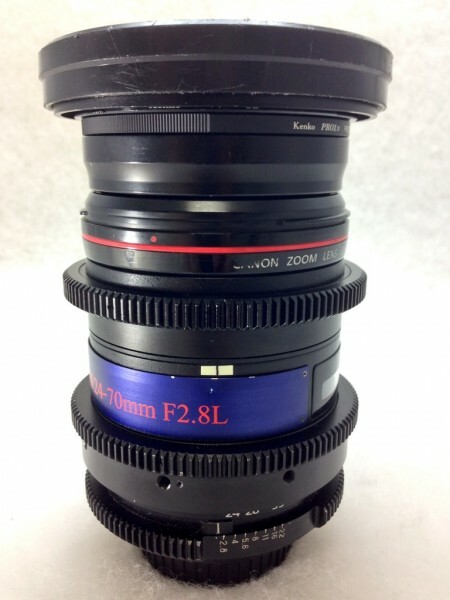 A cine modified Canon 70-200mm IS II lens. Now this is was no ordinary cine conversion. It featured a manual iris, something never seen before on a EF lens. At the time the conversion took a month to do! Yoshitaka Kataika the owner and the brains of Technical Farm is a fantastic designer and some what of a legend in Japan. All his designs are unique and are hand made. He admits that his creations are not made for the mass market. They are individual pieces for those that want something that’s unique and not mass produced. The attention to detail and craftsmanship is first rate. Think of them as functional pieces of art. After a long absence I decided to go back to Technical Farm to see what else they had been working on. 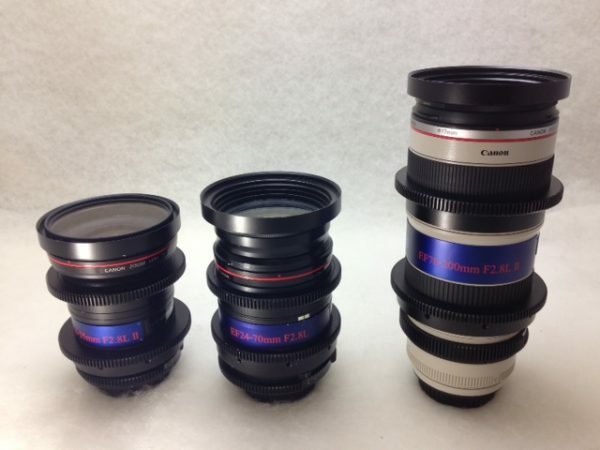 Well they now have a complete set of cine modified Canon EF zooms. A 16-35mm f2.8, 24-70mm f2.8 and the 70-200mm f2.8. 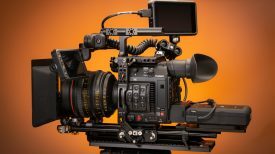 Now why this may sound expensive if you consider how much Canon Cine primes are and how much the Canon Cine zooms retail for it is relatively cheap. The turn around time is week, which is very impressive. They can only do limited numbers because there is only a couple of people to do the conversion. Yoshitaka jokes that he doesn’t actually want too many orders otherwise he won’t get any sleep! 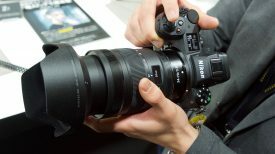 Yoshitaka asked me what other lenses would be popular to convert. 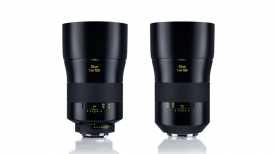 I suggested the 17-55 2.8 and the 24-105 f4. They are looking into it. Also just to note you do lose the IS functionality of the lenses after they are converted. There is no way around this. In limited numbers they make a wide variety of products and can tailor make just about anything you ask for. 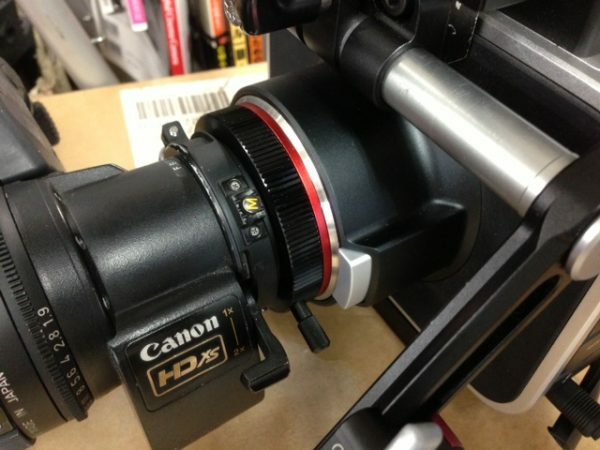 There are B4 to M4/3 and B4 to Canon EF adaptors ($600US) that enable you to put a 2/3″ broadcast ENG lens on cameras such as the BMCC. These are light weight and beautifully made. I tested out the adaptor on the BMCC with a 2/3″ lens. When using the Technical Farm BMCC rig I could power the lens and the camera giving me full servo control of the broadcast lens. 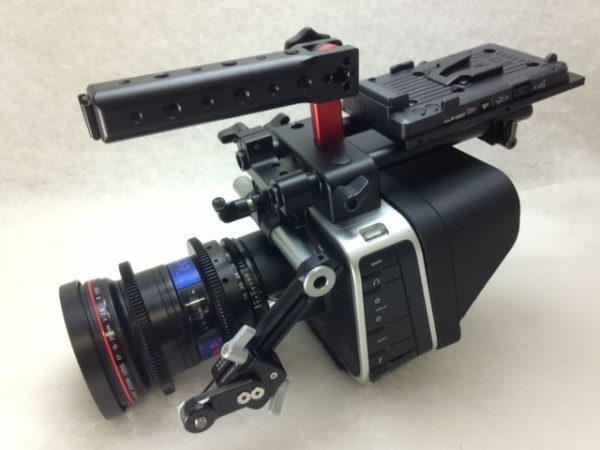 There is also a wide variety of rigs for cameras such as the C300/500, Sony F3/F5/55 and FS700 and of course the BMCC. They also have these fantastic TF-PLATES that are designed specifically for Sachtler tripods. They allow for a much better stability between your camera and the tripod as the plate is much longer than the standard Sachtler one. They are available for the Sachtler Video 18, 20 and 25 series heads as well as the V18SB/V20SB and smaller tripods like they DV4/6 and 8. The TF-PLATES have so well made and designed that Sachtler Japan sells them directly with their tripods. I bought one for my Video 20 head and highly recommend it. Prices start from $169US and you can order online and they do take international orders. Other impressive things I saw were a converter ($1200-1600) that enabled the use of a broadcast ENG camera VF on a C300 or any other camera for that matter. Now for news shooters who may already own a ENG VF or a 2/3″ lens for that matter you could very well utilise these on a different camera. Why I personally think making a small camera bigger sort of defeats the purpose of having a smaller camera it shows it can be done. You can find out more by going to their website. Matt has been a Camera/Editor in TV news for more 22 years, previously working for both Channel 9 and Channel 10 in Australia. Twice Network Ten Australia’s cameraman of the year as well as being a Walkley Finalist for outstanding camerawork in 2006 (for coverage of the Cronulla Race Riots) and a Logie Finalist for outstanding news coverage 2006 (Bali 9). He has won 14 ACS (Australian Cinematographers Society) awards. His Sword Maker story that was shot on a 7D won the prestigious Neil Davis International News Golden Tripod at the 2011 ACS Awards. He has covered news events in more than 35 countries, from major sporting events to terrorist bombings. Based out of the Kuala Lumpur broadcast centre in Malaysia he is an avid user and follower of new technology, shooting stories on HD broadcast cameras, the Sony FS700 and F3 as well as Canon DSLRs.